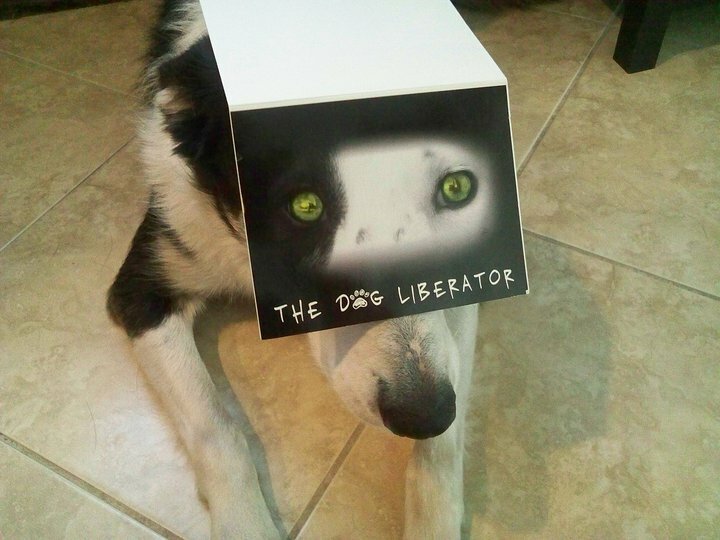 The Dog Liberator, Inc., a 501c3 canine rescue organization located in Central, Florida. We are a non-profit organization dedicated to rescuing homeless and abandoned dogs, primarily dogs from high-kill shelters and owners who can no longer care for them. By working with committed volunteers, local veterinarians, trainers, and foster homes, The Dog Liberator is able to rescue hundreds of dogs every year. Does Your Place of Business Participate with the United Way? The most important thing we do is spay and neuter. For every dog you help us rescue, you will be reducing today’s current over-population; literally thousands of unwanted dogs. The Dog Liberator’s rescued dogs are fostered in a home environment which enables fosters to evaluate the dog’s true temperament, provide them with loving temporary care, and find them well-matched, carefully screened homes. The Dog Liberator also serves as a resource to communities by providing education and information on responsible pet ownership, including the importance of spay/neuter, positive behavior training, and good nutrition. The Dog Liberator’s rescued dogs are examined, vaccinated, micro-chipped, spayed or neutered before they are re-homed. Your donations will enable hundreds of dogs- once considered damaged and consigned to doggie death row- find their forever families, and begin life anew. The success of The Dog Liberator™ is primarily due to the countless hours of incredible fosters, transporters, and numerous other volunteers, and limited only by the shortage of funds. Adoption fees, in most cases collected days or even weeks after rescue expenses were incurred, fall short of covering the overall cost of rescue. Such costs include but are not limited to shelter pulling fees, inter-state transport to foster homes, dog food, medical supplies, and necessary veterinary care required for each animal prior to being adopted. In many cases those costs far exceed adoption fees and deplete valuable financial resources needed for saving another dog. Without the additional funding from grants, the organization is restricted in the number of dogs that can be saved and placed into available foster homes. Your donations could provide useful funds to continue our mission and expand our efforts by enabling dozens of additional volunteers to participate in our rescue efforts. While we will not raise our adoption fees, and we will not lower the quality of care that our dogs receive, we dream about being able to do more for animal-lovers. Only the commitment from Corporate Donations can help us achieve our future goals. Today, The Dog Liberator is announcing their Future Liberators program, something that we have dreamed of doing for several years. Educating young students about the plight of America’s homeless pets, euthanasia rates and what we can do about it. We have a lot of dreams. As stated in our Mission Statement, we hope to one day be able to ask our Facebook followers to nominate a family who wants to spay/neuter their pet, but can’t afford to. Corporate donations can help us achieve our dream to do more for the pet-loving community. We also dream about providing Senior Dogs to Seniors who can not afford the expenses of owning a dog. With the help of Corporate donations, we would one day like to ask our Facebook followers to nominate a Senior and gift them a fully-trained dog that is completely sponsored for life. We dream about being able to help Displaced Families keep their pets, by providing temporary foster care, and funding costly pet deposits. We dream about doing the same gifting for Children with Disabilities, and Veterans who are Coming Home. Nothing can help depression 24/7 more than a companion animal. As you focus on running your business to satisfy the needs of your customers, shareholders, and employees, we know we can do the same; meet the needs of hundreds of homeless dogs. Again, we have rescued over 800 dogs, but with your help, we can do more. Please Donate Today. Little Grace has a family to call her own! Tell them All About it!